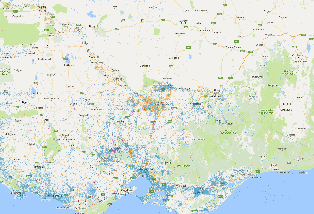 Our spatial research showcases the diverse range of projects that FedUni is supporting through the team at CeRDI. Projects are at various stages of their evolution but share common goals to inform ‘big picture’ understanding and enhance decision making, create greater efficiencies in communication, increase the quality of information and support policy formulation and evaluation. 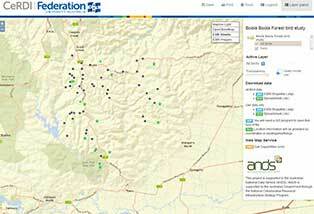 Visualising Victoria's Groundwater provides a central site for accessing Victoria's groundwater information. 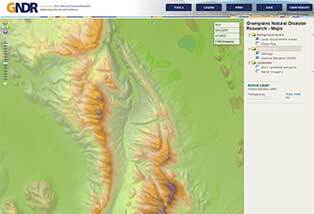 VVG consolidates data from multiple authoritative sources, includes 2D and 3D visualisations, hydrogeological models and historical records and maps. Sport and Recreation Spatial integrates data about sport and recreation participation, sport and recreation facilities, population demographics and population health from multiple data custodians. 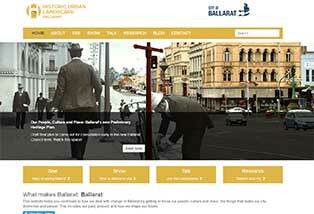 UNESCO’s Historic Urban Landscapes (HUL) approach is providing Ballarat with a new approach to dealing with change. The goals is help shape our future while acknowledging what is distinctive and valued about our past and present. The Corangamite Knowledge Base is an extensive collection of publications, technical reports and spatial information on all aspects of the Corangamite Catchment Authority region. 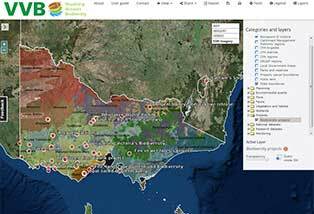 The Corangamite Soil Health Knowledge Base includes reports, research papers, maps and descriptions related to current and past soil series mapping, land capability and suitability assessments, agricultural trials, and soil research and investigations. 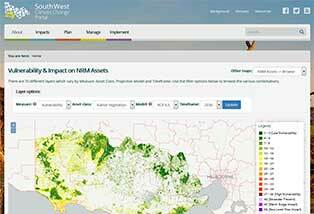 The NRM Planning Portal enables Landcare networks and their Catchment Management Authority partners to share information about past works and projects and to come up with joint priorities which have the best potential for funding. 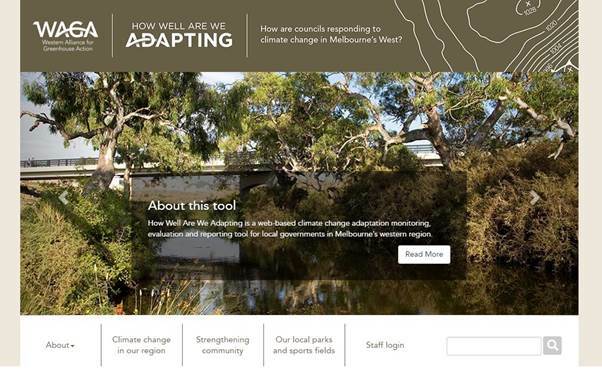 The South West Climate Change portal provides regionally specific climate change information to support NRM planners, land managers and community groups adapt to a changing climate. 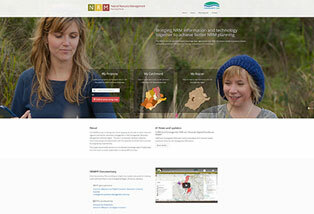 Visualising Victoria's Biodiversity provides a central site for accessing Victoria's environmental information. 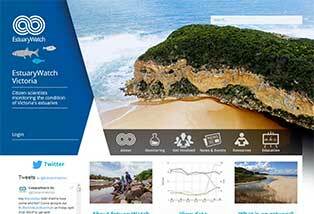 VVB brings together existing environmental datasets and information created and managed by government agencies, organisations, community groups and individuals. 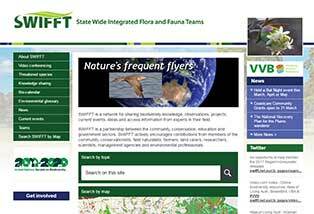 VVB is a partner site to SWIFFT. 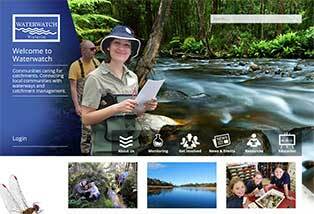 State Wide Integrated Flora and Fauna Teams are advancing citizen science by facilitating awareness, information and knowledge sharing across Victoria and south-eastern Australia. 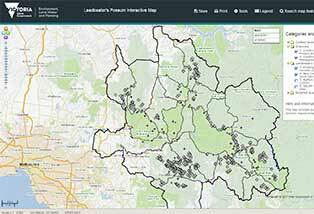 The Leadbeater's Possum Interactive Map provides access to the latest information on colonies, modelled habitat, targeted survey areas and relevant land management layers. The Barwon South West region has adopted a knowledge management approach for fire and emergency planning at the State, Regional and Municipal levels. In response to the landslide events of January 2011 in the Grampians National Park, FedUni partnered with Northern Grampians Shire and other regional partners to investigate social, economic and environmental impacts. 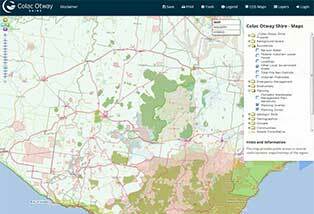 Colac Otway Shire's mapping portal is designed to empower decision-making by a range of stakeholders including community groups, government departments and agencies, other municipalities, regional authorities, emergency services, businesses and researchers. 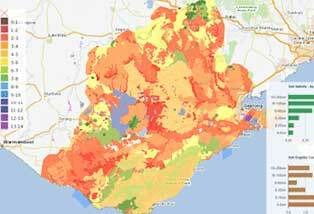 Mapping and understanding bushfire and natural hazard vulnerability and risks at the institutional scale. 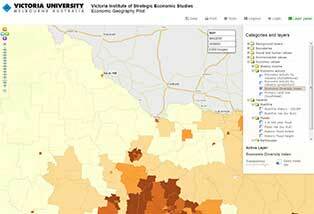 Developed in collaboration with the Victoria Institute of Strategic Economic Studies (Victoria University). 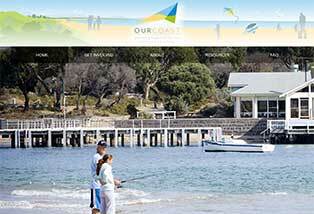 Climate Ready helps residents, holiday home owners and businesses in the Bayside City Council, Kingston City Council and Mornington Peninsula Shire areas to prepare for climate change in the long term. The Our Coast project is bringing local governments and the Geelong and Bellarine Peninsula communities together to plan for climate change in areas such as sea level rise and storm surge. CropPro delivers diagnostic and economic tools for efficient identification and management of constraints in wheat and canola crop productivity and profitability. 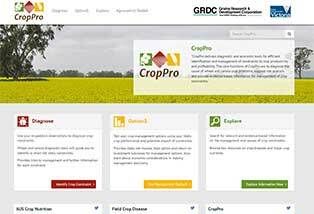 CropPro also supports risk analysis and provides evidence-based information for decision making. Waterwatch Victoria is a successful community engagement program connecting local communities with river health and sustainable water issues and management since 1993. EstuaryWatch is a successful citizen science program that supports community members to actively participate in the monitoring of estuary health. 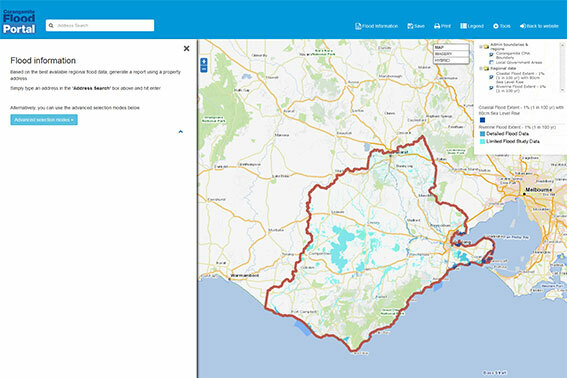 The Flood Portal brings together information for stakeholders on floodplain management within the Corangamite Region, including an interactive flood report, and provides the opportunity for stakeholders to input into the Corangamite Regional Floodplain Management Strategy. 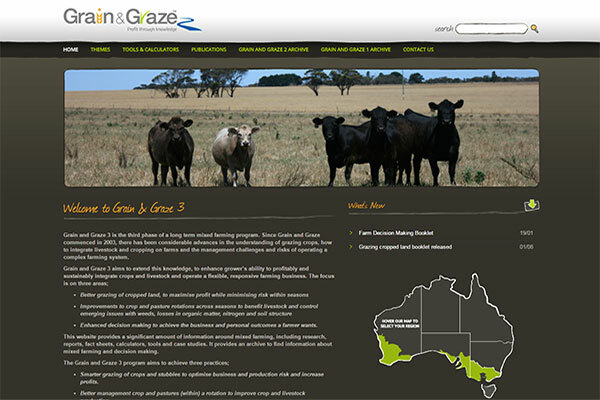 Grain and Graze 3 is an online portal which provides updated information, case studies, articles, discussion papers, tools and other decision-making resources to assist mixed farming enterprises. Grain and Graze 3 was developed in collaboration with Nicon Rural Services. 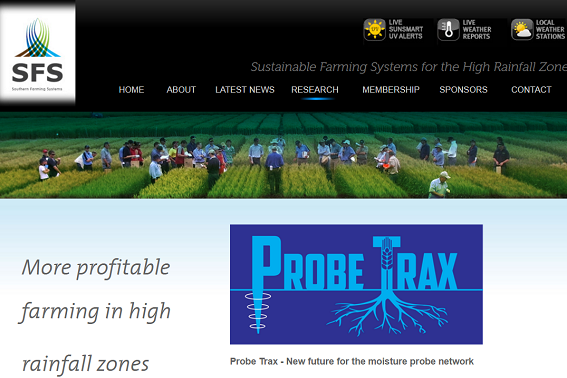 The Southern Farming Systems (SFS) soil probe network portal (ProbeTrax) has been established to monitor and assess soil temperature and moisture conditions from 62 soil probes which have been installed across the major soil types of the high rainfall zones of Victoria and Tasmania. 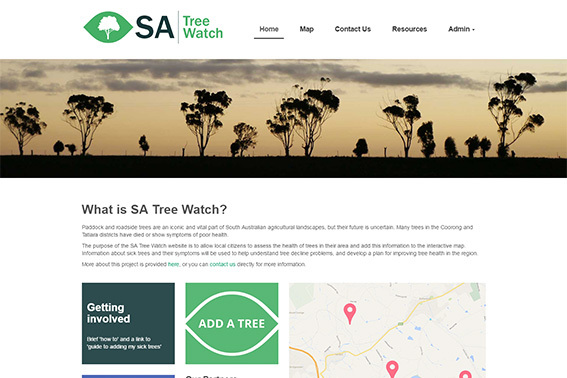 The SA Tree Watch project aims to collect spatially-explicit data and citizen science observations on patterns of tree health decline in South Australian rural landscapes using a custom-built web-based platform. 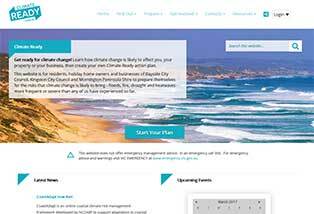 The Barwon South West Interoperable Spatial Knowledge Base is a web-based portal which supports regional, local and community level planning to manage assets from the risk and consequences of fire and other emergency events. The Western Alliance for Greenhouse Action (WAGA) is committed to action and advocacy to assist local governments to the west of Melbourne respond to climate change. Its members are the Cities of Brimbank, Greater Geelong, Hobsons Bay, Maribyrnong, Melton, Moonee Valley and Wyndham, and the Shire of Moorabool. 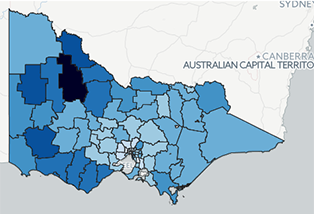 Visualising Ballarat is a mechanism for knowledge building and for planning, enabling end users to directly access complex data sets from a single point of access and to participate in the localised knowledge building process. 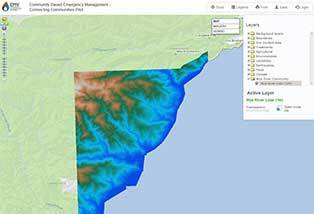 The data sets available include data relating to historic landscapes, trees, parks, views, and landmarks, natural landscapes, geology, services and infrastructure, boundaries and regulatory tools. 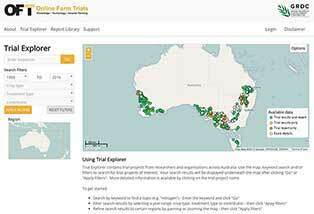 A web client developed as part of CeRDI’s involvement in the OGC Soil Data Interoperability Experiment. 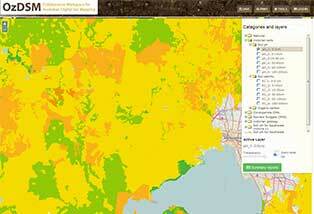 The map consumes soil data from global partners delivering complex WFS services. Includes demonstration of the use of a remote Web Processing Service to infer soil new properties. View demo video. The Bool Boola data collection was undertaken as part of a PhD study and assessed differences in avian biodiversity across different forest age-classes, including mature stands (> 100 years), in a managed, mixed-species eucalypt forest located in Gippsland. 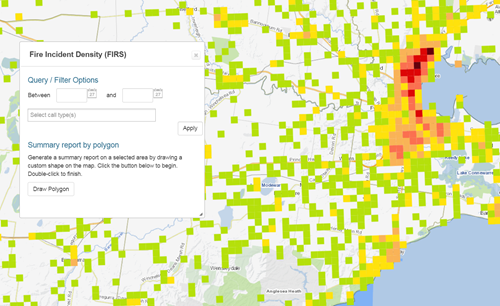 A visualisation to illustrate the commute patterns of Federation University Australia staff. This visualisation was developed to support planning around telecommuting and environmental impact assessments associated with staff commuting. The Eureka Stockade: An Interactive History portal contains historical overlays and points of interest in the Ballarat area around the time of the Eureka Stockade. This dynamic map is an interactive spatial interface to the underlying information. OzDSM is a collaborative workspace for researchers working on digital soil mapping in Australia.